I have among my records a copy of the passenger list of the ship "Exchange," written upon its arrival in New York on 09-Jul-1847. 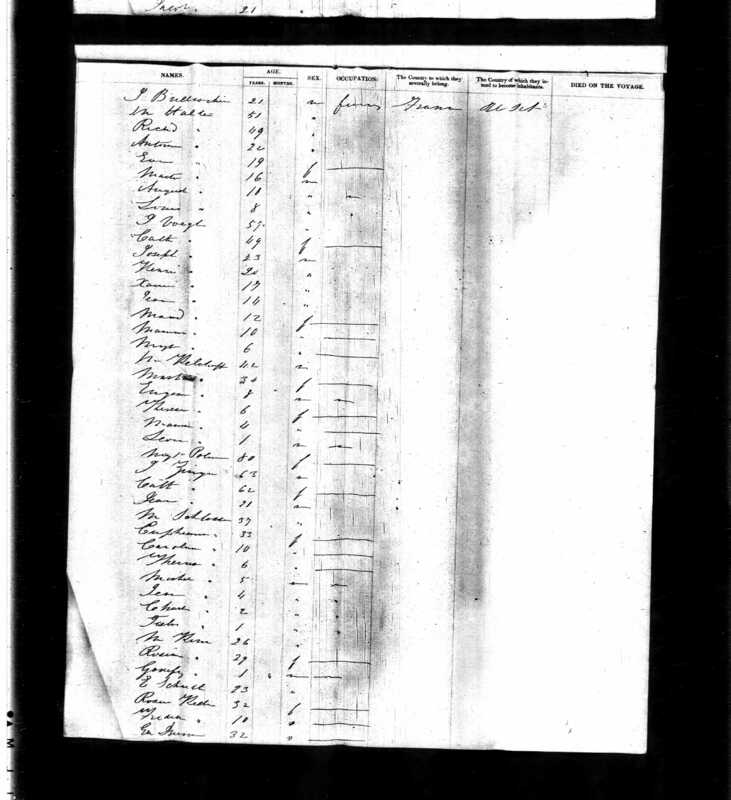 My mother and my sister Kathryn made a copy of this passenger list from a microfilm record. I do not know which microfilm. Click this excerpt image to see the entire page. The first page of the list has this description: "List or Manifest of all the Passengers taken on board the Ship Exchange, whereof Funk is Master, from Havre." I interpret this to mean that the voyage originated in Le Havre, France. 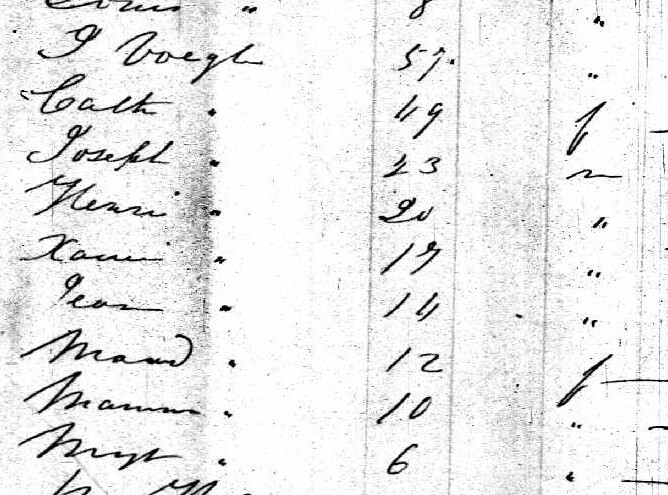 The "Voegle" family is the family of Joseph Voegele and Catherine Miller, my great-great-great-grandparents. The Halter family is also from Soufflenheim.